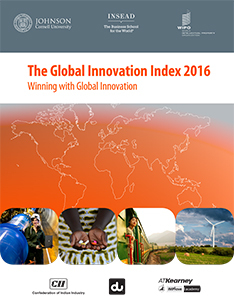 The Global Innovation Index (GII) aims to capture the multi-dimensional facets of innovation and provide the tools that can assist in tailoring policies to promote long-term output growth, improved productivity, and job growth. 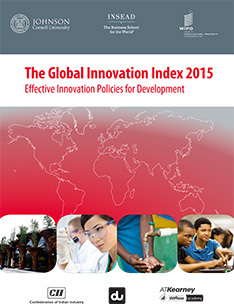 The GII helps to create an environment in which innovation factors are continually evaluated. It provides a key tool and a rich database of detailed metrics for economies, which in 2018 encompasses 126 economies, representing 90.8% of the world’s population and 96.3% of global GDP. 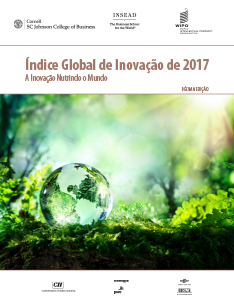 The Global Innovation Index 2018 (GII), in its 11th edition this year, will be released on July 10, and continues to be co-published by Cornell University, INSEAD, and the World Intellectual Property Organization (WIPO, an agency of the United Nations). 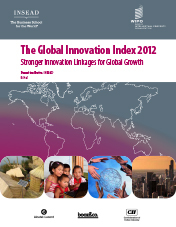 The core of the GII Report consists of a ranking of world economies’ innovation capabilities and results. 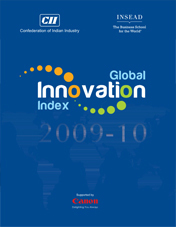 Over the last ten years, the GII has established itself as a leading reference on innovation. 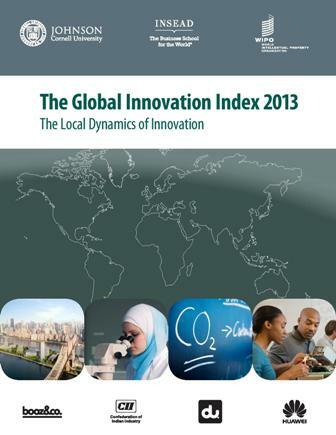 Understanding in more detail the human aspects behind innovation is essential for the design of policies that help promote economic development and richer innovation-prone environments locally. 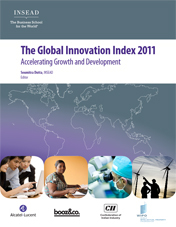 Recognizing the key role of innovation as a driver of economic growth and prosperity, and the need for a broad horizontal vision of innovation applicable to developed and emerging economies, the GII includes indicators that go beyond the traditional measures of innovation such as the level of research and development. The Global Innovation Index (GII) is an evolving project that builds on its previous editions while incorporating newly available data and that is inspired by the latest research on the measurement of innovation. 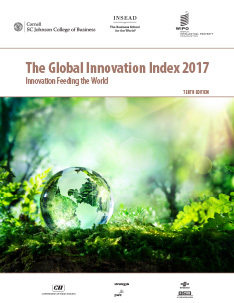 The GII relies on two sub-indices—the Innovation Input Sub-Index and the Innovation Output Sub-Index—each built around key pillars. 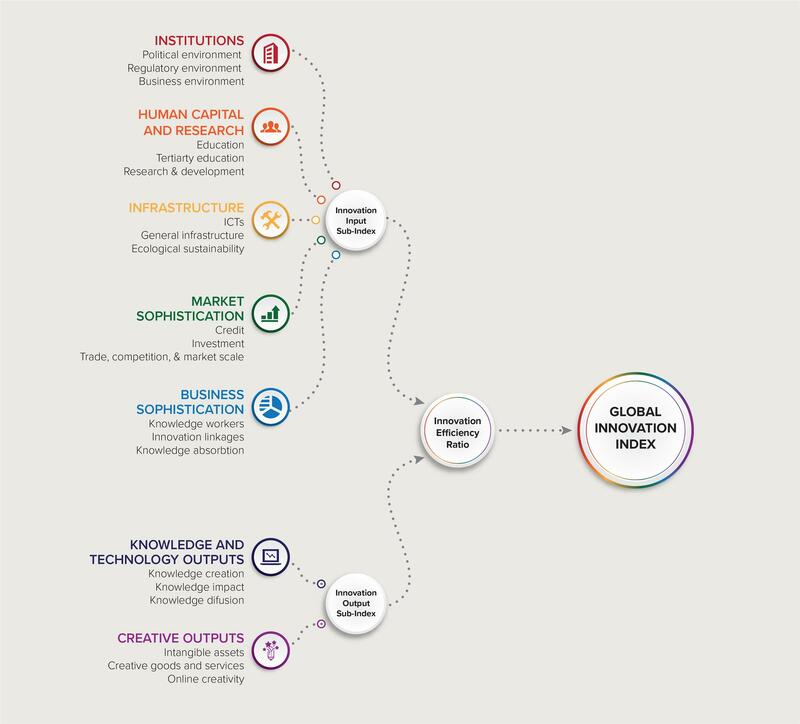 Five input pillars capture elements of the national economy that enable innovative activities: (1) Institutions, (2) Human capital and research, (3) Infrastructure, (4) Market sophistication, and (5) Business sophistication. Two output pillars capture actual evidence of innovation outputs: (6) Knowledge and technology outputs and (7) Creative outputs. 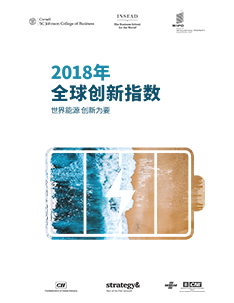 Each pillar is divided into sub-pillars and each sub-pillar is composed of individual indicators (80 in total in 2018). Sub-pillar scores are calculated as the weighted average of individual indicators; pillar scores are calculated as the weighted average of sub-pillar scores. 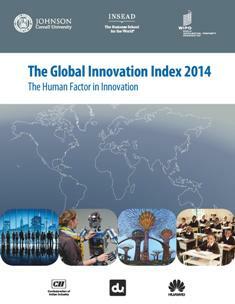 The framework is revised every year in a transparent exercise to improve the way innovation is measured. 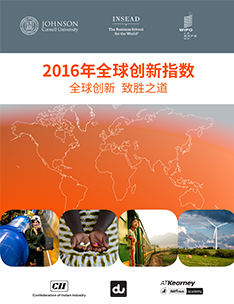 For more on the latest updates to the framework, see Annex 2 of the GII 2018. 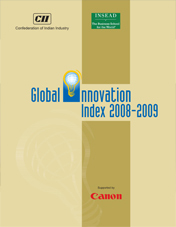 In 2011, an Advisory Board was set up to provide advice on the research underlying the Global Innovation Index (GII), generate synergies at its stages of development, and assist with the dissemination of its messages and results. 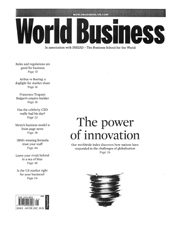 The Advisory Board is a select group of leading international practitioners and experts with unique knowledge and skills in the realm of innovation. Its members, while coming from diverse geographical and institutional backgrounds (international organizations, the public sector, non-governmental organizations, business, and academia), participate in their personal capacity. We are grateful for the time and support provided by the Advisory Board members. In 2018, we welcome three new members to the Advisory Board: Audrey Azoulay, Director-General of the United Nations Educational, Scientific and Cultural Organization (UNESCO); Sergio Mujica, Secretary-General, International Organization for Standardization (ISO) and Philippe Kuhutama Mawoko, Executive Secretary, the African Observatory for STI, African Union Commission. The Confederation of Indian Industry (CII), PricewaterhouseCoopers (PwC) and Strategy&, and the National Confederation of Industry Brazil (CNI) and Brazilian Service of Support to Micro and Small Enterprises (Sebrae) collaborate as GII Knowledge Partners, believing in the role of innovation in increasing the competitiveness of nations, enabling economic growth, driving societal changes and building the foundation of a country’s future.